High impact color without flowers! 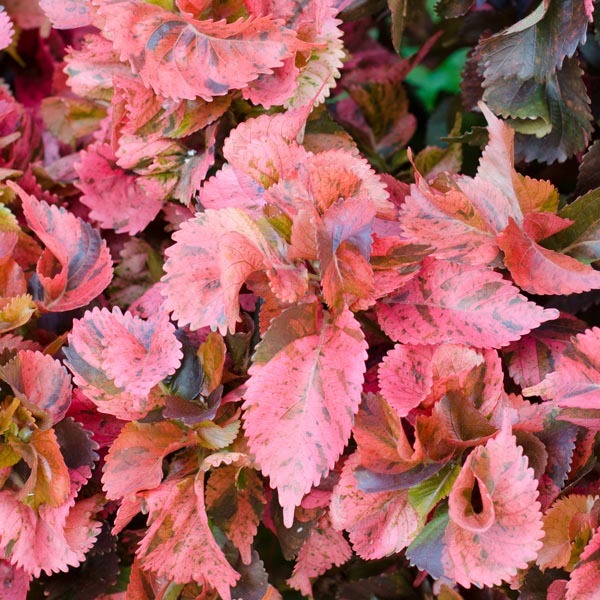 Fantastic variegated foliage in blends of burgundy, copper, and green shades make this a wonderful garden accent on its own, or the perfect backdrop for bright blooming annuals. Makes a breathtaking specimen plant. Wonderful for combination plantings. Nice for larger patio containers. A heat tolerant selection. Best in fertile, well-drained soil. Keep soil moist, watering freely in dry weather. Fertilize regularly for best display.